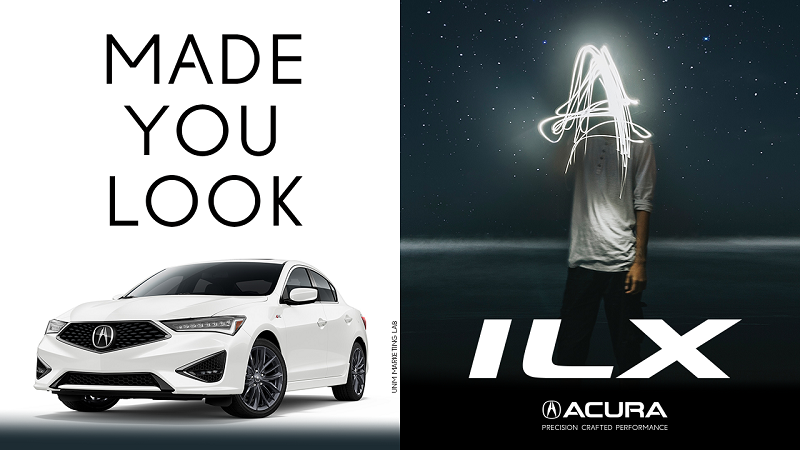 ALBUQUERQUE, N.M.- Undergraduate marketing students at The University of New Mexico (UNM) Anderson School of Management unveiled a new advertising campaign for the 2019 Acura ILX titled "Made You Look." The campaign is part of the Acura ILX Marketing Challenge, an industry-education partnership program sponsored by Acura and managed by EdVenture Partners. "This program enables students to apply concepts learned in the classroom to real-world marketing challenges faced by brands today," said Professor John Benavidez. We are honored that Acura, an automotive industry leader, has elected to partner with New Mexico’s flagship university to provide students with this unique and exciting learning experience." The "Made You Look" campaign elements highlight the redesigned 2019 ILX and invite the millennial car consumer to take a second, deeper look at Acura’s premium compact sedan. The objectives of the campaign are to educate consumers on the features and benefits of the 2019 Acura ILX, increase purchase consideration of the sport sedan among the millennial target market, and increase perception of Acura as an innovative, youthful brand younger audiences aspire to own. The top three participating schools in the Acura ILX Marketing Challenge will be invited to Torrance, California to present their campaigns to Acura executives and leadership. The top team will receive a scholarship prize of $5,000, followed by $3,000 for second place, and $1,000 for third. Consumer information about the 2019 Acura ILX is available at acura.com/ilx. Connect with the "Made You Look" campaign on Facebook, Twitter, Instagram, and YouTube.